A seafood delicacy will be returning soon to restaurant menus: Florida's stone crab season is about to start. The recreational and commercial stone crab claw harvests open Tuesday in state and federal waters. The harvests continue through mid-May. 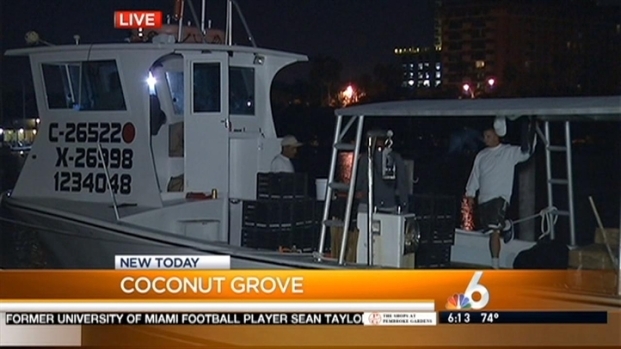 Across South Florida, fishermen were up before dawn preparing to head out and check their traps. "It's nice and cool and calm so it makes it easy to pull the traps," said Capt. Mike Henry, who said he had more than 1,100 traps set in the waters off Coconut Grove. Florida's stone crab season is beginning and fishermen are ready to hit the waters. Capt. Mike Henry comments. Henry is hoping this year's stone crab season is better than last year's, when the crabs were in short supply. "We won't know til we pull them what's out there but hopefully we can catch a few," he said. The rules are the same in both state and federal waters. Recreational harvesters can use up to five stone crabs trap per person. There's also a daily recreational bag limit of one gallon of claws per person or two gallons per vessel, whichever is less. When it comes to stone crabs, fishermen usually take just one claw from each crab, which is then returned to the water. Those claws must be at least 2 3/4 inches in length. This stone crab season is a special one for Miami's iconic Joe's Stone Crab, which is celebrating it's 100th year in business.